While a much neglected sacrament, often ignored even by regular Massgoers, the Sacrament of Reconciliation is now receiving an image revamp thanks to a new book which challenges Catholics to rediscover the joy of confession. Fr Paul Farren, the director of Religious Education in the Derry diocese, has said he wrote Confession: looking into the eyes of God from his own great love for the Sacrament of Reconciliation, which he describes as an opportunity to find God’s love and healing. Speaking at the launch of the book, Minster for Agriculture, Simon Coveney described himself as a Catholic and a regular Massgoer but admitted he had not been to confession in quite a few years. 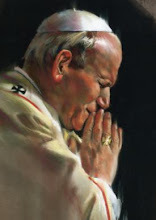 “In many ways, confession is the most powerful of all the sacraments as it really engages you. It exposes you as to how you have let yourself down and let God down,” Minister Coveney said. The launch was also attended by Msgr Eamon Martin, Coadjutor Archbishop-elect of Armagh, and Baroness Nuala O’Loan. Published by Columba Press, ‘Confession: looking into the eyes of God’ was launched in St Mary’s College, Derry and is now available in bookshops.